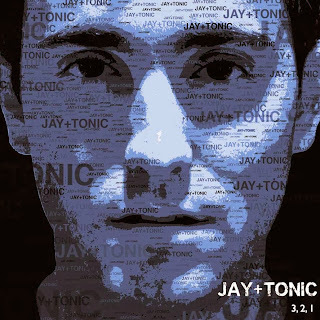 Jay+Tonic (James Hayden Gallagher) is a music producer, composer, DJ, award-winning songwriter, and classically trained cellist living outside of Philadelphia, PA. He began playing the cello at age four and as a twelve year old was accepted into Temple University's Center for Gifted Young Musicians, studying under Metta Watts. An amateur classical composer through high school, it was not until college that Jay began exploring the realm of electronic music. Having been dubbed the “Bach of electronic dance” (Jon Gordon, former musical director for Suzanna Vega and Madonna), Jay draws from and combines his classical roots with cutting-edge sound design and production techniques to create detailed and lively compositions. His music has sat atop charts on highly regarded music websites such as Broadjam, is being featured in multiple advertisement and promotional videos, and has been accepted into premier music licensing libraries for its fresh and current musical style. Jay was recently awarded the grand prize in the 2013 Dallas Songwriting Association Song Contest, an annual international competition. In the past year he has also achieved finalist and semifinalist placements in other prestigious events such as the UK Songwriting Contest and International Songwriting Competition. Listen out for Do You Believe and other awesome tracks by Jay+Tonic on SkunkRadio Live Pop Playlist Shows.